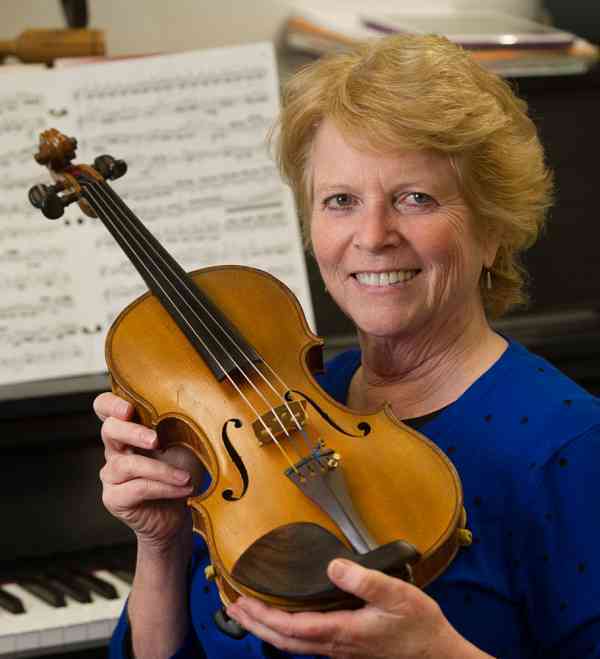 Vera McCoy-Sulentic (violin) is Director of the Suzuki Program at Southern Illinois University Edwardsville. She has been a registered teacher trainer for the Suzuki Association of the Americas since 1991 and conducts long term Suzuki teacher training at SIUE. A frequent clinician at Suzuki workshops, she has traveled throughout the United States and Canada, and has taught in Bermuda, Sweden, Taiwan, and Brazil. She was the recipient of SIUE’s Excellence in Teaching award in 1996 and has been a faculty member and director of the SIUE Suzuki Program since 1997. Additionally, she has ten years of string teaching experience in the public schools of Edwardsville, Illinois and Eugene, Oregon. In 1988, Vera earned a Masters in Music Education from SIUE which included long term teacher training with John Kendall. Other Suzuki training has been with Mihoko Hirata, Yuko Mori, Evelyn Hermann, and Doris Pruecil. Academic degrees include a B. M in Music Education from the University of Oregon and a B. A. in French from the University of Iowa. Thanks to two wonderful sons who studied violin and cello, she also has had two decades of Suzuki Parenting experience.